It was so good, I’ve been eating nothing but lemony arugula salads at home. And then Solveig introduced me to her pickled red onions and it was kismet. 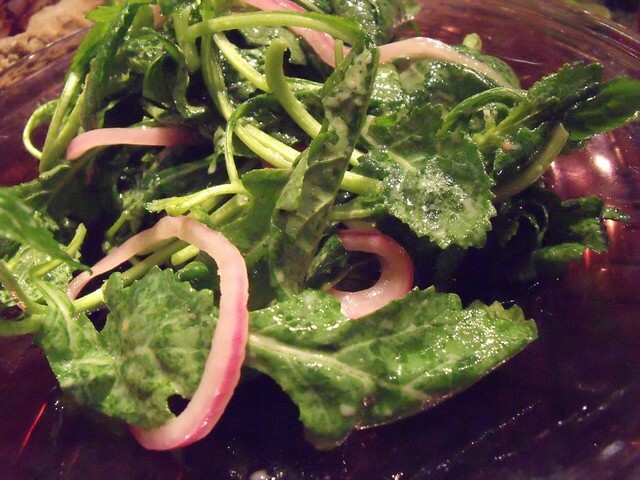 My version of the salad uses a type of arugula I’ve not seen before: “Wasabi Arugula“. And I love it. There’s a little bit of fuzziness to the leaves (like stinging nettles) and it’s a bit extra peppery. (To the local Toronto folks: I get mine at Loblaws, to the US folks: Trader Joes has something similar! 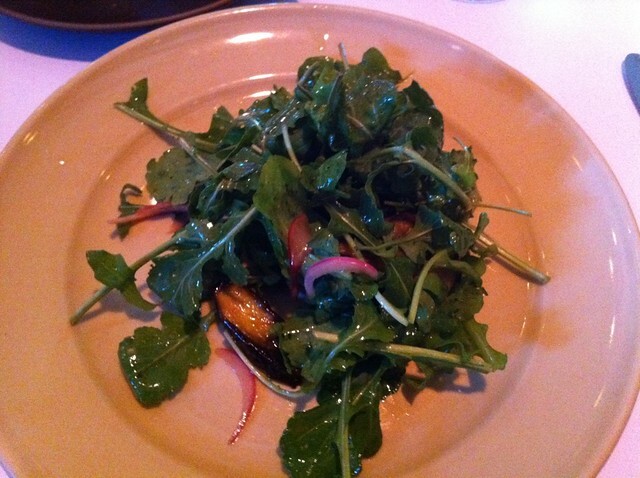 And if you can’t find it, regular arugula is an excellent substitution). 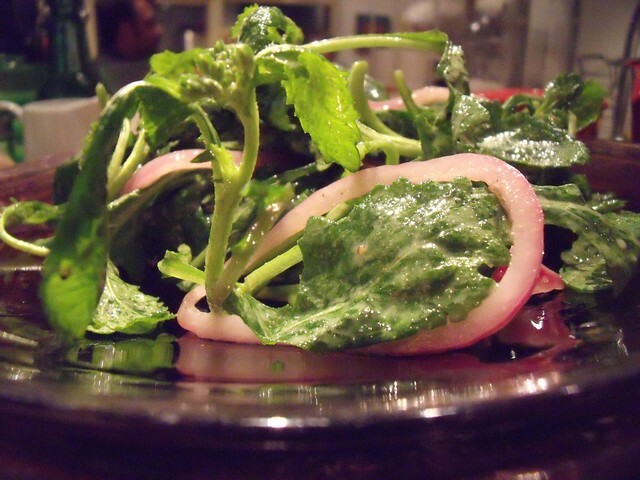 It is definitely worth using a good olive oil in this vinaigrette, it makes a huge difference. Part of what I really like about this salad is its simplicity. We served it at a dinner party last weekend after the main course (and before the plum & port tart), and I think everyone would have had seconds if I’d made more. But if you want to fancy up your salad, we did a version last night with red peppers, roasted chickpeas, and whole wheat flatbread croutons. And it was perfection. Yep, last season was all about the Caesar dressing and Romaine lettuce, this season’s all about the lemon vinaigrette and arugula. I like it. In a large bowl, combine lemon juice, mustard, garlic, olive oil, and salt, and mix with a fork until you have an emulsified vinaigrette. Just before serving, add the arugula, pickled onions and toss to coat. Season with pepper and serve! It is definitely a fabulous salad! And now I want some for dinner, so off to Loblaws I go!